The history of Russian popular education before 1864 is one of sweeping projects occasionally passed as laws but almost never carried out in practice. [Empress Catherine II] is known to have felt that too much education for the chern’ (plebes) was dangerous for the social order…there was no provision for the funding of peasant schools. In the late 1850s, Tolstoy began investigating popular education, as well as contemplating the establishment of his own peasant schools on his Yasnaya Polyana estate. At the turn of the decade, Tolstoy founded his school. While this venture lasted only about three years, it represented the concerted effort of one of the world’s most famous literary figures to alter the state of Russia’s educational system. Furthermore, this event illustrates the multifaceted nature of Tolstoy himself; even in this early stage of Tolstoy’s literary career, he shows signs of radical dissent from the established order in the desire to improve Russian society. Upon entering the University of Kazan in 1844, Tolstoy studied Oriental Languages and Law. The university quickly managed to stoke the already growing fires of Tolstoy’s opposition to authority, particularly in the realm of education. Tolstoy stated, “My work on [Catherine the Great’s] Instructions and [Montesquieu’s] Espirit des lois opened up for me a new field of independent mental endeavor whereas the university with its demands…hindered me.” Tolstoy failed his initial examinations in Oriental Languages — despite his prior grasp of three foreign languages — and left the University after only three years, having never earned a degree. Pinch acknowledges that, “Tolstoy never came to understand what a really good university could give. At Kazan he observed…the backward aspects of an institution still suffering from…the close of [Rector Nikolai] Lobachevsky’s patient struggle to animate and organize a true centre of higher learning.” Regardless of this lack of understanding, this period laid the groundwork for the earliest development of Tolstoy’s theories on education. Not long after his withdrawal from the University of Kazan in 1847, Tolstoy entered the Russian army with his brother, Nikolai, who was serving in the Caucasus. This period was pivotal in the life of young Tolstoy. At this time he wrote some of his earliest works such as Childhood (1852) — a fictional account of his own youth —and Sevastopol Sketches (1855) — based on a battle during the Crimean War. Furthermore, his interaction with the various groups of this region would inspire later works such as The Cossacks (1863) and Prisoner of the Caucasus (1870), as well as offer him a model for interaction with the peasantry. By 1855, Tolstoy began to experience a growing disenchantment with army life. He wrote to his aunt, “Over these last few days the idea of leaving the army had occurred to me more and more often. I see that it would be easy for me.” In 1856, Tolstoy finally withdrew from the army. I cannot think of those years without horror, loathing and heartache. I killed men in war and challenged men to duels in order to kill them. I lost at cards, consumed the labor of the peasants, sentenced them to punishments, lived loosely and deceived people. Lying, robbery, adultery of all kinds, drunkenness, violence, murder – there was no crime I didn’t commit…so I lived for ten years. Tolstoy attempted to flee Moscow – as well as Yasnaya Polyana – on an 1857 trip throughout Western Europe. While Tolstoy’s lifestyle did not change on the trip, it did spark his interest in the analysis of education. His travels at this point, however, primarily consisted of sightseeing, touring museums, and living as recklessly as he had in Moscow. Tolstoy’s sudden desire to educate the peasants on his estate seemed to appear randomly: in a single diary entry in June 1857, he stated, “A strong and distinct idea has occurred to me of setting up a school in my village for the whole district.” Tolstoy returned to Moscow and Yasnaya Polyana later that year, and approximately a year and a half later, he established the first Yasnaya Polyana School. I’ve been busy with a school for boys and girls…progress…has been quite unexpected. [The state-run academies] are useful but in the same way as dinner at the English Club would be useful if it were all eaten up by the steward and the cook. These things are produced by all 70,000,000 Russians, but are used by several thousand…The most vital need of the Russian people is Public education…[This] hasn’t begun, and never will it begin as long as the government is in charge of it. Tolstoy continued to grapple with the larger problem of spreading public education to the peasantry. He even brainstormed —in the same letter to Kovalevsky —the foundation of a “Society for Public Education.” Tolstoy’s idea, however, was never presented to the government as would have been required for such a Russia-wide organization to be founded. He died, literally, in my arms. Nothing in life has made such an impression on me…The truth I’ve taken away from my 32 years is that the situation in which someone has placed us is the most terrible fraud and crime…I accept life as it is, as a most mean, detestable and false condition…I’m spending the winter here for the simple reason that I am here, and it makes no difference where I live. Despite Tolstoy’s evident depression, he used that winter to his advantage; beginning in France, he continued travelling abroad researching education throughout Europe. I could write whole books about the ignorance that I witnessed in the schools of France, Switzerland, and Germany. Anyone who cares about education should study schools not from the reports of public examinations, but from extended visits and conversations with teachers and pupils in the schools and outside the schools. It was possible to link, to the binary exercises of rivalry, a spatial disposition [of students] inspired by the [Roman] legion, with rank, hierarchy, pyramidal supervision…By assigning individual places it made possible the supervision of each individual and the simultaneous work of all…It made the educational space function like a learning machine, but also as a machine for supervising, hierarchizing, rewarding…Thus the classroom would form a single great table, with many different entries, under the scrupulously ‘classificatory’ eye of the master. This standard in government-organized popular education represented – to Tolstoy – an environment counteractive to learning, and more broadly, the centralized, hierarchical exercise of power upon an otherwise voiceless mass. What I saw in Marseilles…takes place in all the other countries: everywhere the greater part of one’s education is acquired not at school but in life….The very boy who told me that Henry IV had been killed by Julius Caesar knew very well the story of the Three Musketeers and of Monte Cristo…Here is the unconscious school that has undermined the compulsory school and has made the latter’s substance dwindle down to almost nothing. He was revolutionary but nondogmatic. He did not attack the popular cultural education of the day, but instead bowed to it and supplemented it with complementary material. At the same time, he eagerly offered children as much education as they desired. We had grown as close to Lev Nikolayevich as the cobbler’s wax is to the wax-end. We were miserable without Lev Nikolayevich, and [he] without us…our school was still growing and growing. By now it had become famous not only in our province but even in Moscow and Petersburg. What am I saying? It had become famous abroad, not to speak of Russia. Even then I realized what a centre and meeting-point Yasnaya Polyana had become. The school at this point was expanding rapidly: it is estimated that as many as twenty “schools” were opened, and over fifty young boys, girls, and some adults attended lessons. He continued in a style comparable to one of his novels, describing every last detail of the building and its inner workings, down to the amount of mud frequently coating the staircases. The youngest class reads, writes, and solves problems in the first three operations of arithmetic, and reads sacred history so that the course of study is divided in the following way: 1) reading mechanics and graded reading; 2) writing; 3) penmanship; 4) grammar; 5) sacred history; 6) Russian history; 7) drawing; 8) drafting; 9) singing; 10) mathematics; 11) natural sciences; 12) religion. He went to great lengths to explain each one of these subjects, typically offering an anecdote or two about a “typical” day in each of these classes. However, it is important to note that, as mentioned in Eklof’s extensive work on the peasant schooling system, this curriculum was not unique in structure. An “Abridged Program of Primary Schools,” quoted in Eklof’s modification of an 1809 English report on Russian education, indicated that nearly all of these subjects were taught in Russian primary schools, albeit in a perhaps more compact form than Tolstoy’s model. The feeling for artistic measure was stronger in him than in any authors I know…It seemed strange to me that a half-literate peasant boy should suddenly arrive at such conscious artistic powers…It seemed strange and offensive to me that I, the author of Childhood, who had garnered some success and earned recognition for artistic talent from a cultivated Russian public…should be unable to teach anything to young Semka or Fedka. Suddenly without saying a word, two or three boys will suddenly rush into the room during the second or third afternoon class hour, hurriedly collecting their caps… “Going home.” And who are these boys who decided to go home, and how did they decide to? God knows…Such occurrences take place once or twice a week. They are aggravating and disagreeable for the teacher…But who will not admit that due to these events the five, six, and even seven lessons a day for each class…take on that much more significance? He felt therefore, that quantity of attendance was subordinate to quality of learning in his classes, even at the risk of lessons rarely being heard by his students. Grades are, for the students, a measure of their work, and the students express dissatisfaction with grades only when they believe a grade has been given unfairly…Grades by the way, are left with us only from the old ways, and are beginning to fall into disuse. Let the people who are themselves punished invent the rights and obligations of punishment. Our world of children —of simple, independent people — must remain pure, free from self-deception and the criminal faith of believing in punishment. Although Tolstoy quite freely and happily published his journal of pedagogical theories, he nevertheless knew that his opinions would be contentious. He wrote to Vasily Botkin, “I hope that they kick up a terrible fuss about me in the press, and I hope that as a result of it I shan’t cease to think and feel just the same.” Rather than receiving outright criticism however, as Blaisdell notes, “his contemporaries —when they bothered to respond —dismissed the ideas and opinions of Yasnaya Polyana as unimportant or impractical.” Therefore, while the journal continued to broadcast Tolstoy’s educational doctrines throughout Russia, it did little to support the growth of the schools themselves. All my activities in which I found happiness and solace have been ruined…There’ll be no school, the people are laughing up their sleeves, the gentry are gloating, while we think willy-nilly, at the sound of every bell, that they’ve come to take us away. Tolstoy thus no longer found himself capable of adequately focusing on the school, but rather preoccupied himself with preparation for another raid of his estate. Furthermore, in defense of his honor following the search —and at his aunt’s recommendation —he wrote a pointed letter to Tsar Alexander II, hoping to clear both his and the Tsar’s name from blame in this situation. I’ve been afflicted by every misfortune lately: the gendarmes, such censorship of my journal that I’m only publishing the June issue tomorrow…and the 3rd and chief misfortune or good fortune, depending on which way you choose to look at it: toothless old fool that I am, I’ve fallen in love. In January 1871, his labours on the novel behind him, he wrote to Afanasy Fet, “I’ve stopped writing and will never again write verbose nonsense like War and Peace. I’m guilty, but I swear I’ll never do it again.” As occurred frequently throughout Tolstoy’s life, however, this self-deprecating commentary merely indicated a turn toward a nobler goal. He remarked, “There is just one difficulty: there are no good books for the people, not only in our country, but not even in Europe.” With this idea in mind, Tolstoy embarked upon the second wave of his educational experiment at Yasnaya Polyana. These last years I’ve been writing a Primer, and now I’m having it published…My proud dreams about this Primer are: that two generations of all Russian children, from tsars’ to peasants’, will study with the aid of this Primer alone, and will receive their first poetic impressions from it, and that having written this Primer, I’ll be able to die peacefully. These books contained a series of basic exercises, serving as a culmination of Tolstoy’s educational philosophy. A large portion of the texts included stemmed not only from Tolstoy’s own work, but also from folk stories. When released, however, the Primer received much of the same criticism incurred by his early educational theories and was ultimately dismissed. Tolstoy noted by 1873 that, “The Primer is an inscrutable mystery to me: if I meet anyone with children, I hear genuine praise, and complaints that there’s nothing of mine to read, but nobody buys the Primer, therefore nobody needs it.” His beloved project faded not only from importance in the public sphere, but also in Tolstoy’s personal life. One day papa set me to teaching the alphabet to one of the boys. I tried my best, but he understood absolutely nothing. I lost my temper and began hitting him; we fought and both began to cry. Papa came and told me that I could never teach again because I didn’t know how…”It’s not for us to teach them, but for them to teach us,” he remarked. While education remained one of Tolstoy’s interests throughout the duration of his life, the 1870s marked the end of his attempts at organizing schools for the peasantry. In the second half of the decade, he dedicated himself entirely to the writing and publication of his second great novel, Anna Karenina. Simultaneously, he became entirely preoccupied with religious ideas and the notion of impending death, culminating with a full spiritual crisis sometime around 1879, which he chronicled in his short work Confession. This period changed Tolstoy’s outlook on his own existence, society, and his writing, leading him to renounce his old life and begin on a path of religious contemplation lasting until his death. Furthermore, and perhaps most importantly in the context of this study, it awakened him to further issues, both in a social and political context, within peasant society. He developed specific ideals regarding the role of the peasant in the social hierarchy of Russia and supported a notion of peasant self-sufficiency in education. Over the next several years, Tolstoy would turn his attention to these glaring problems, beginning projects in much the same manner as the peasant schools in the attempt to improve the peasant condition in Russia. Lev Nikolaevich Tolstoy frequently proved himself as a man of many abilities. His skills in prose caused him to be ranked not only as one of the foremost authors of his time, but as a timeless author whose extensive works have affected generations. Tolstoy, despite the brevity of his Yasnaya Polyana schools, acted not only as a voice for an ideology, but as a man of action, seeking to help the peasantry through a new form of popular education. Interaction with the Russian government and the balance between his personal and literary life—factors that frequently complicated Tolstoy’s remaining years—caused the gradual disintegration of this particular experiment in social change. The author of this analysis, Eric M. Souder graduated in 2010 from Dickinson College with undergraduate degrees in History (honors) and Russian Language and Literature. This article is based on a case study from his senior honors thesis. He plans to pursue graduate studies in Russian History and one day teach on the college level. He is a member of the Dobro Slovo Honor Society. Berlin, Isaiah. Russian Thinkers. New York: Viking Press, 1979. Billington, James H. The Icon and the Axe: An Interpretive History of Russian Culture. New York: Vintage Books, 1966. Figes, Orlando. Natasha’s Dance: A Cultural History of Russia. New York: Picador, 2003. Maude, Aylmer. The Life of Tolstoy. Oxford: Oxford University Press, 1987. Tolstoy, Ilya. Tolstoy, My Father: Reminiscences. Translated by Ann Dunnigan. Chicago: Cowles Book Company, Inc., 1971. Tolstoy, L.N. Confession and Other Religious Writings. Translated by Jane Kentish. New York: Penguin Classics, 1987. __________. Detstvo, Otrochestvo, Yunost’. Moskva: Nauka, 1978. __________. Kavkazskii Plenik. Letchworth, England: Prideaux Press, 1982. __________. Polnoe Sobranie Khudozhestvennykh Proizvedenii, Volumes 2-3. Moskva: Gosudarstvennoe Izdatelstvo, 1928. __________. Polnoe Sobranie Sochinenii. Nedeln: Kraus Reprint, 1972. __________. Tolstoy As Teacher: Leo Tolstoy’s Writings on Education. Edited by Bob Blaisdell. Trans. Christopher Edgar. New York: Teachers and Writers Collaborative, 2000. __________. Tolstoy on Education: Tolstoy’s Educational Writings 1861-62. Edited and Trans. Alan Pinch and Michael Armstrong. London: The Athlone Press, 1982. __________. Tolstoy’s Diaries, Volumes 1-2. Edited and Translated by R.F. Christian. New York: Charles Scribner’s Sons, 1985. __________.Tolstoy’s Letters, Vol.1, 1828-1879. Edited and Translated by R.F. Christian. New York: Charles Scribner’s Sons, 1978. __________.War and Peace. Translated by Constance Garnett. New York: The Modern Library, 1931. __________. The Works of Tolstoy. Vol. 14, What then Must We Do? Translated by Aylmer Maude. London: Oxford University Press for the Tolstoy Society, 1928-1934. Venturi, Franco. Roots of Revolution: A History of the Populist and Socialist Movements in Nineteenth Century Russia. Translated by Francis Haskell. New York: Knopf, 1960. Walicki, Andrzej. A History of Russian Thought: From the Enlightenment to Marxism. Stanford: Stanford University Press, 1979. James H. Billington, The Icon and the Axe: An Interpretive History of Russian Culture (New York: Vintage, 1966), 221. Author’s Note: Yasnaya Polyana was Tolstoy’s country estate, located a few hours outside of Moscow. 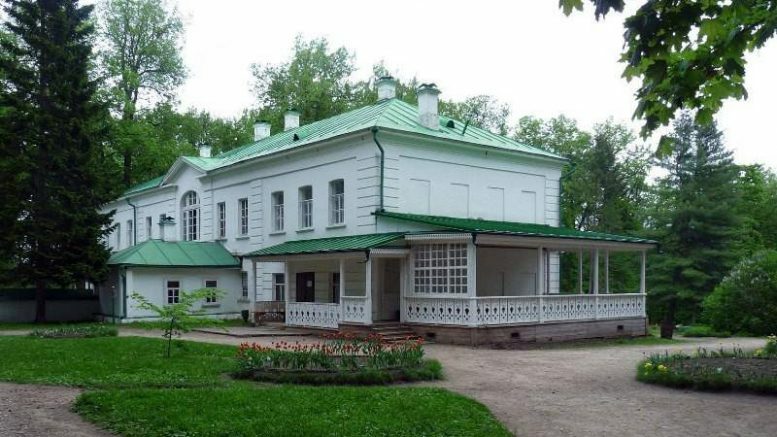 Tolstoy spent the majority of his life living and developing this estate. The estimated Russian population in 1860 was 71.2 million individuals. See Walther Kirchner, Studies in Russian-American Commerce, 1820-1860 (Leiden, Netherlands: E.J. Brill, 1975), 51. This remained the case until 1861, when Tsar Alexander II issued the Edict of Emancipation, which, in essence, liberated the serfs. Although they were no longer required to work the land of the wealthy throughout Russian, the former serfs still faced considerable repression and financial difficulties due to the unbalanced hierarchy of local official in control of their land. Ben Eklof, Russian Peasant Schools: Officialdom, Village Culture, and Popular Pedagogy(Berkeley: University of California Press, 1986), 19-24. Alan Pinch, “Introduction” in Lev Nikolaevich Tolstoy, Tolstoy on Education: Tolstoy’s Educational Writings 1861-62, Edited and Translated by Alan Pinch and Michael Armstrong(London: The Athlone Press, 1982), 13-14. Ed. Bob Blaisdell, Tolstoy as Teacher: Leo Tolstoy’s Writings on Education, Trans. Christopher Edgar (New York: Teachers and Writers Collaborative, 2000), 6. L.N. Tolstoy quoted in Ed. Blaisdell, Tolstoy as Teacher. 6. Pinch, Tolstoy on Education. 12. L.N. Tolstoy, Detstvo, Otrochestvo, Yunost’ (Moskva: Nauka, 1978), 5-76. L.N. Tolstoy, Polnoe Sobranie Khudozhestvennykh Proizedenii, Vol. 2 (Moskva: Gosudarstvennoe Izdatelstvo, 1928), 49-154. L.N. Tolstoy, Polnoe Sobranie Khudozhestvennykh Proizbedenii, Vol. 3 (Moskva: Gosudarstvennoe Izdatelstvo, 1928), 177-304. L.N. Tolstoy, Kavkazskii Plennik (Letchworth, England: Prideaux, 1982). L.N. Tolstoy to T.A. Yergolskaya, September 4, 1855, in Tolstoy’s Letters, Vol. 1, 1828-1879, Ed. R.F. Christian (New York: Charles Scribner’s Sons, 1978), 52. L.N. Tolstoy, Confession, Trans. by Jane Kentish (London: Penguin Classics, 1987), 23. This quote combines two of Tolstoy’s letters written in early June, 1856. The first: L.N. Tolstoy to M.N. Tolstaya, June 5, 1856. Tolstoy’s Letters. 58. The second: L.N. Tolstoy to N.A. Nekrasov, June 12, 1856. Ibid, 58fn. After arriving in Geneva in April 1857, Tolstoy wrote to Turgenev: “I spent 1 ½ months in Sodom, and there is a great accumulation of filth in my soul: two whores, and the [witness of an execution], and the idleness and vulgarity” and later to V.P. Botkin, “Alas! I’ve picked up syphilis in Lucerne…I threw myself at the first woman I came across!” See R.F. Christian, Tolstoy’s Letters. 97-102. L.N. Tolstoy to Y.P. Kovalevsky, March 12, 1860, in R.F. Christian, Tolstoy’s Letters, Vol.1.138-9. R.F. Christian, Tolstoy’s Letters, Vol. 1. 140fn. L.N. Tolstoy to A.A. Fet, October 17/29. Ibid, 141-2. Author’s Note: Several of Tolstoy’s letters are dated with both the Old and New Russian Calendar dates. Unless otherwise indicated, the Old Calendar Dates will always be listed first. L.N. Tolstoy, “On Popular Education.” In Ed. Bob Blaisdell, Tolstoy as Teacher. 178. Michel Foucault, Discipline and Punish, Trans. Alan Sheridan (New York: Vintage Books, 1977), 146-7. L.N. Tolstoy to A.A. Tolstaya, May 14, 1861. In R.F. Christian, Tolstoy’s Letters, Vol.1. 147. L.N. Tolstoy, “The Yasnaya Polyana school in the months of November and December.” In Ed. Pinch, Tolstoy on Education. 115. L.N. Tolstoy to A.A. Tolstaya, Beginning of August 1861. In R.F. Christian, Tolstoy’s Letters, Vol.1. 149. Vasily Morozov, “Extracts from the Reminisces of a Pupil at the Yasnaya Polyana School: V.S. Morozov.” In Pinch, Tolstoy on Education. 102-7. Alan Pinch indicates that “schools” were a broad distinction for Tolstoy, indicating a group of children visiting village officials to learn reading, writing and the like. See A. Pinch, Tolstoy on Education. 18. The initial title had been A Country Schoolmaster. L.N. Tolstoy, “The Yasnaya Polyana School in the Months of November and December,” 75-6. Eklof, “Appendix A: Instruction in Russian Primary Schools.” In Russian Peasant Schools.483-6. This is Eklof”s modification of Thomas Darlington, Education in Russian. Board of Education, Special Reports on Education, Vol. 23 (London, 1909), 296-299. L.N. Tolstoy, “Are the Peasant Children to Learn to Write from Us?” In Ed. Blaisdell, Tolstoy As Teacher. 48. The title of their story refers to nineteenth century Russian ethnographer Ivan Snegiryov’s (1793-1868) rendering of a traditional Russian proverb, “Ложкой кормишь, а стеблем глаз колёшь.” (See I.M. Snegiryev, Russkie v svoikh poslovittsakh: Rasuzhdeniya i isledovaniya ob otechestvennykh poslovitsakh i pogovorkakh, Knihzka 1 (Moskva: V Universitetskoi Tipografii, 1831), 159.) The translation here is from Ed. Blaisdell, Tolstoy as Teacher, Trans. Christopher Edgar (New York: Teachers and Writers Collaborative, 2000), 25. L.N. Tolstoy, “Are the Peasant Children to Learn to Write from Us?” In Ed. Blaisdell, Tolstoy as Teacher. 33. L.N. Tolstoy, “The School at Yasnaya Polyana,” 89-90. L.N. Tolstoy to V.P. Botkin, January 26, 1862. In R.F. Christian, Tolstoy’s Letters, Vol. 1. 153. Ed. Blaisdell, Tolstoy as Teacher. 14. The Third Department was a Tsarist secret police force established during the reign of Tsar Nicholas I.
 L.N. Tolstoy to A.A. Tolstaya, July 22-3(? ), 1862. In R.F. Christian, Tostoy’s Letters, Vol. 1. 158. L.N. Tolstoy to A.A. Tolstaya, August 7, 1862. In R.F. Christian, Tolstoy’s Letters, Vol. 1.160-2. R.F. Christian notes that “The Chief of Police appended a note justifying his action…on the technical grounds that the student-teachers were living [at Yasnaya Polyana] without residence permits. This explanation appears to have satisfied Alexander…the Governor of Tula (the region in which Yasnaya Polyana is located) was instructed in a subsequent letter from [The Chief of Police] on behalf of the Emperor that Tolstoy was not to be disturbed again for the same reason.” In Ed. R.F. Christian, Tolstoy’s Letters, Vol. 1. 163fn. L.N. Tolstoy to A.A. Tolstaya, September 7, 1862. Ibid, 164. Vasily Morozov, “Recollections of a Pupil of the Yasnaya Polyana School.” In Ed. Bob Blaisdell, Tolstoy as Teacher, 16. L.N. Tolstoy to A.A. Fet, January 1-6, 1871. In Ed. R.F. Christian, Tolstoy’s Letters, Vol.1. 231. L.N. Tolstoy, “On Methods of Teaching the Rudiments.” In Ed. Blaisdell, Tolstoy as Teacher. 182. L.N. Tolstoy to A.A. Tolstaya, January 12, 1872. In Ed. R.F. Christian, Tolstoy’s Letters, Vol. 1. 240-1. L.N. Tolstoy to N.N. Strakhov, May 31, 1873. Ibid, 261. Tatyana Tolstaya, Tolstoy Remembered. In Ed. Blaisdell, Tolstoy as Teacher. 17. Ilya Tolstoy, Tolstoy, My Father: Reminiscences, Translated by Ann Dunnigan (Chicago: Cowles Book Company, Inc., 1971), 18. L.N. Tolstoy to A.A. Tolstaya, August 15, 1874. In Ed. R.F. Christian, Tolstoy’s Letters, Vol. 1. 271-2. Tatyana Tolstaya, Tolstoy Remembered. As quoted In Ed. Blaisdell, Tolstoy as Teacher.17.